Gandhinagar is the capital city of Gujrat. It is located near Sabarmati River. Father of the nation Mahatma Gandhi was born here. Inhibited by the huge number of the population this city got a large number of vehicles as well. It is headed by the transport commissioner. Gandhinagar RTO is operated as per the discretion of The Motor Vehicle Act of 1988 . Gandhinagar RTO plays a pivotal role in managing the transports rules and regulations. It performs a number of activities to ensure execution of the Motor Vehicle Act. Every vehicle on the road should be fit to drive. Gandhinagar RTO ensures the same by conducting Vehicle emission test. Two-wheelers, three-wheelers, four-wheelers or any mode of transport needs to have registration. Gandhinagar RTO is the concerned authority to approach as soon as we purchase a new vehicle. They help in issuing the RC. Before possessing the RC we need to submit a few mandatory documents. In order to move from one city to another, road permit is a must. 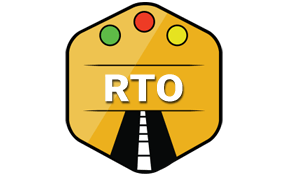 Gandhinagar RTO keeps tracks on interstate movements. It also manages the road permit renewal etc. All the people who are beginners in driving gets learning license initially. After completion of 6 months, they can apply for the Driving License. In order to get the Learning License in Gandhinagar, they must visit their RTO. People who want Driving License from Gandhinagar need to visit its RTO. Driving License gets expired after sometimes. In order to get the License renewal from Gandhinagar RTO, we must visit there. Assistant Regional Transport Office, Sec-3A, Near G0 Circle, Gandhinagar.